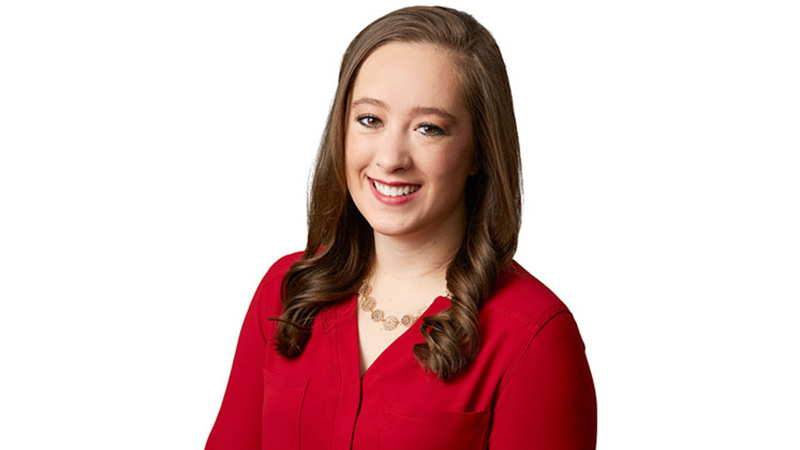 Carly Smith joined Storm Team 2 in January 2019 as the Weekend Meteorologist. She is excited to forecast winter storms across the Midwest. As a baseball fan, she can't wait to visit all the ballparks within driving distance of Dayton. Carly grew up on the southern edge of Tornado Alley. She lived about 20 minutes away from a Texas Rangers, and Dallas Cowboys game in Arlington, Texas. Her interest in weather sparked at a young age when having to take shelter during the May Tornado in 2000 that tore through parts of downtown Fort Worth. Her passion really grew when she moved west to attend Texas Tech University. In the wide open spaces of West Texas, she was able to watch thunderstorms from start to finish. Her first job was in Grand Junction, Colorado where it was sunny 90% of the time, but she covered mountain snow storms and rock slides. She most recently moved from Wichita Falls Texas where she gained experience covering severe thunderstorms and tornadoes. Now it's time for winter storms and derechos. Carly received an Electronic Media and Communications Degree from Texas Tech and an Atmospheric Science Minor. She was also a member of the Texas Tech Pom Squad. She also has a Broadcast and Operational Meteorology Degree from Mississippi State University. You can follow Carly on Twitter @CarlySmithWX and like her Facebook page Carly Smith WX WDTN. She loves seeing your weather pics and sharing them on TV. Top Five Interests: Texas Tech Football, hiking, dancing, wakeboarding, and eating tacos. I would love to hear where your favorite place to eat tacos is.